There has been a boom in the construction of senior memory care facilities in recent years, and one of the primary drivers is the increase in people diagnosed with Alzheimer’s disease and other forms of dementia. As the United States population ages, the number of people suffering from memory loss will grow. It’s estimated that 1 in 6 women and 1 in 10 men who live past age 55 will develop some form of dementia during their lifetime. Of all the different forms of dementia in seniors, Alzheimer’s disease is the most common form, making up about 70 percent of elderly dementia cases. 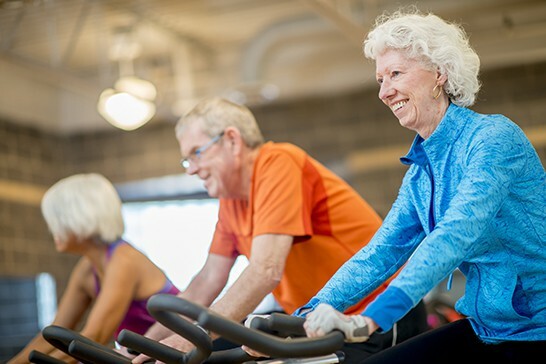 Approximately 5.2 million Americans age 65 and older have it, and as seniors reach the age of 85, between 25 and 50 percent of people will show signs of the disease. This data shows that caring for someone with dementia in a specialized memory care facility is not just becoming more common, but is a necessity. Thoughtful memory care facility design and programs can greatly improve the quality of life for those living with memory loss. Because of the special challenges that residents living with memory loss can face, memory care facilities should be designed a little differently than other senior care centers. People living with memory loss have a tendency to wander. Rather than confine them to a small area of a memory care facility, provide ample space for them to roam with no confusing dead-end hallways. A courtyard and common areas in the middle of a facility give residents plenty of space to wander around while meeting and interacting with others. Another feature that is becoming more popular is a life skill station. These interactive tools replicate everyday functions, such as putting away dishes, checking the mail, holding and caring for a doll, creating art, and other hobbies and activities. These stations jumps-start residents’ memories, getting them interested and active. Many different sensory functions can trigger a memory in those dealing with dementia. The right sounds and colors can have a profound impact on residents’ daily quality of life. In a facility for Alzheimer’s patients and others living with memory loss, themed areas can trigger memories for residents. These themes can have their own color scheme and décor, giving residents a certain feeling when they visit these areas. For example, an ocean-themed wing may use varying shades of blue and have artwork and photos on the wall depicting water scenes. These areas can also have customized flooring appropriate to the theme. Implementing sensory stimulation has positive effects when caring for someone with memory loss. Several years ago, a study showed that brightly colored fish helped curtail disruptive behaviors and improved the eating habits of residents with dementia. Another form of sensory therapy involves Snoezelen, or a controlled multisensory environment (MSE). These rooms allow residents to control their own therapy through light, sounds, textures and smells that help them relax and feel a sense of control. A Dutch company developed stickers that transform a plain room door to a door that replicates a door from the residents’ past. The result is a bit of nostalgia that comforts those living with memory loss. Any memory care facility design should look and feel like a home. Using the right colors, patterns and furnishings makes it feel warm, welcome and comforting, putting residents instantly at ease. A good rule is to ask yourself if you’d enjoy the colors and furnishings in your own home. If so, it’s likely to be well received by other residents. If you’re looking to deliver the best in memory care facilities, contact Community Living Solutions. We can work with you to design a successful memory care unit or facility. Contact Terry McLaughlin, or call 920-969-9344 to discuss plans.